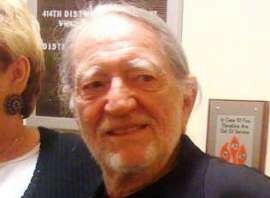 The Willie Nelson concert scheduled for Saturday, April 23, 2011 in Dodge City has been postponed. Due to illness Nelson is unable to perform ANY of his shows this week. Show dates scheduled for this week will be rescheduled for a future date to be announced. Agent, Promoter and Tour Management are working to secure future routing dates for this show. Ticket holders are encouraged to hold their tickets until a future date can be announced.